Pets have moved out of our back yards, barns and sheds and into our homes and even our bedrooms as the human animal bond has strengthened and developed. This is doubly so with dogs, who are not known as “man’s best friend” without good cause. Dr. Marty Becker offers practical pet care tips to keep your dog healthy and happy. As the intensity of our bond with our pets has increased, so has the need for good pet care and good pet care advice. Proper care of your dog can give him a good long life and provide a bond with you that will last through all his years. But drop the ball and ignore proper pet care and your dog will suffer for it. Over the years, pet care has changed drastically. From the days when we believed that animals did not feel pain to the current knowledge that pain control is necessary both short-term for surgical procedures and long-term for more chronic conditions, our expectations of what type of care our pets receive has evolved. We used to believe that puppies needed to be protected from disease until they had finished their full series of vaccines and were fully protected. We now realize that, even though protecting our puppies from disease is important, proper socialization is mandatory to raising a well-adjusted adult dog that is not fearful of all manner of experiences and situations. 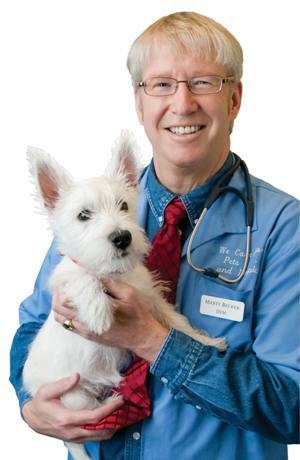 This week, Dr. Marty Becker, who many of you may recognize from his many television appearances on Good Morning America and The Dr. Oz Show joins us to share many of the secrets, surprises and solutions he has discovered throughout his 30 years of caring for dogs as a veterinarian. Dr. Becker shares with us many of the pet care secrets and solutions he uncovers in his new book, Your Dog: The Owner’s Manual. Listen in as Dr. Becker tells us how to save money while still providing top quality pet care for our dog, how to pill your dog with a minimum of effort and fuss and much more. Learn why you should never buy a dog from a pet store and why adult dogs rescued from a shelter or rescue make the best pets. And don’t forget to join us on Wednesday, June 1 at 9PM EST in the Chat Cafe to continue the discussion. 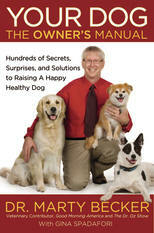 Bring your own questions for Dr. Becker and prepare to have a great time talking about our favorite subject: your dog! This entry was posted in Lorie Huston, Pet Health and tagged America's Veterinarian, dog care, dogs, Dr. Marty Becker, pet care, pets on May 29, 2011 by Lorie Huston, DVM.